Most of us identify as much more than just roller derby athletes. We are parents, coaches, students, various job titles and many other things. 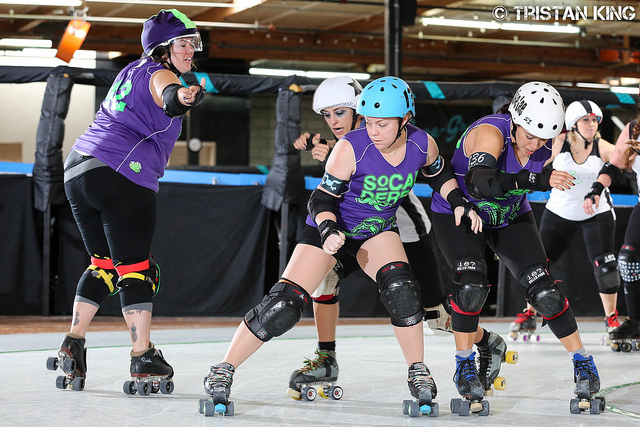 Choosing to play roller derby is sometimes the only thing we have to ourselves in an ever-flowing world. We spend copious amounts of energy, time, and money dedicating ourselves to our team and sport; and we know it just doesn’t mean at practice and on game days. A lot of our duties to our league and team are off the track, and these things can be overwhelming when trying to maintain your role “in life” as well. I have compiled some tips that I have come up with through my decade of derby that may help deal with the anxiety some have when feeling overwhelmed with life but also trying to make attendance for your next game. GO OVER YOUR SCHEDULE. Take the time to balance all your obligations and take into consideration the time needed to get everything done. Don’t over commit yourself to travel teams or things you may not have time for. TAKE A BREAK. I know it sounds like the simplest step, but sometimes it’s the hardest one. 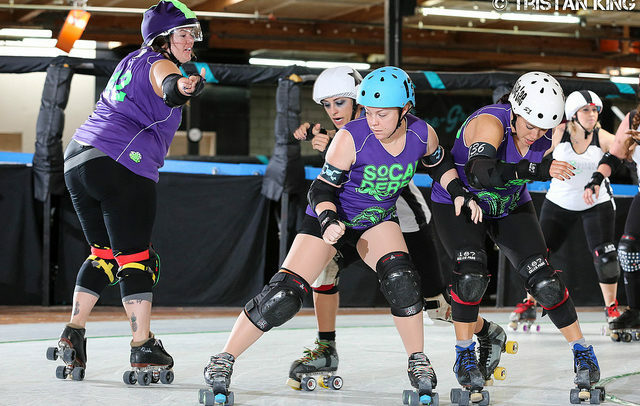 Derby is sometimes the only thing we have to ourselves and we don’t want to give it up even for a short time, which in turn can cause more anxiety and can eventually cause stress when thinking about going to practice or other obligations. BE HONEST. Let your team know what is going on with you if you feel overwhelmed. A league is forever growing and forever changing and everyone’s role is different at different times. Sometimes you may only be able to help behind the scenes or reffing and sometimes all you can give is your energy for practice and games, whatever it is IT’S OK! This is also being honest with yourself, your family and, work. You’d be surprised how willing “your life squad” will come to the rescue if you’re just honest with them. DON’T BEAT YOURSELF UP. If you can’t make a tournament or game or practices or event your teammates will understand! Do the best you can when you can- and if that changes that’s ok. Derby is an awesome community and will always support and be there for you! There will always be another game and chance to play! Happy New Year and Happy Skating!